The Anaconda open pit mine in Yerington Nevada. Photo by Kelapstick, Wikimedia Commons. Exclusive information obtained by the Associated Press revealed that Atlantic Richfield, owner of the former Anaconda copper mine in Nevada, was suddenly halting the free home delivery of bottled water it has provided since 2004 to about 100 families from the Yerington Paiute Tribe who were affected by polluted effluents from the operation. In detail, poisonous groundwater seeping since 2000 from a 90-million-gallon toxic stew of uranium, arsenic and other chemicals contaminated dozens of neighbours’ wells. The extent of the damage is still being investigated. The AP report states that, despite the ongoing research and nearby residents' calls for solutions, an Atlantic Richfield contractor sent a series of emails this month saying that it was imperative to stop the deliveries. According to tribal members interviewed by the news agency, the reason behind the company’s new approach lies in a recent decision that releases the U.S. Environmental Protection Agency from previous duties related to the site’s cleanup and puts such responsibility in the hands of the state and the company. 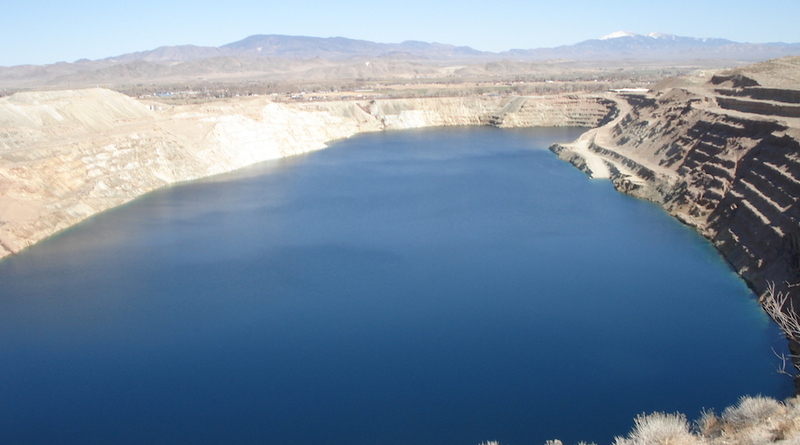 The Yerington Paiute have been advocating for years to formally elevate the mine to priority status on a list of the most contaminated Superfund sites. But Atlantic Richfield dismissed such allegations of retaliation. The firm is now delivering water to a site off the reservation for people to pick up and said it will resume home deliveries, as well as groundwater sampling on tribal property, as soon as a “valid access agreement can be obtained” from the tribe.